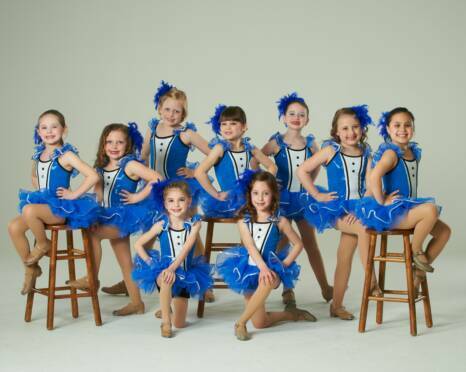 Arabesque Academy of Dancing holds an annual recital at the conclusion of the season. At that time, students have the opportunity to perform at the Theater at Lackawanna College. The opportunity to perform in such a wonderful venue is a magical opportunity for not only the students but also the many family members and friends who come to see them each year. Each child will be receive 1 costume for each class that they take, and the cost of this costume is included in the regular monthly tuition fee. Recital tickets can be purchased from April until the date of the recital at the studio as well as at the door on the evening of the show. All seats are reserved to avoid waiting in long lines on the day of the recital. Students are kept in a secured environment the evening of their performance with volunteers available to help the children stay occupied and even help them change their costume. In addition, security personnel are put in place to ensure the safety of each child so that parents can relax and enjoy our show.